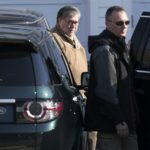 Barr, who was nominated to his post by Trump four months ago, told a Senate appropriations subcommittee that though he did not have specific evidence of wrongdoing, “I do have questions about it.” His review is separate from a Justice Department inspector general investigation into the early days of the FBI’s Russia probe, which Barr said he expects to conclude sometime around May or June. Barr also said he expected to release a redacted version of Mueller’s nearly 400-page report next week — a slight change from the estimate he gave Tuesday, when he said the release would be within a week. Democrats said they were concerned that a four-page summary letter of the report’s main conclusions Barr released last month portrayed the investigation’s findings in an overly favorable way for Trump. 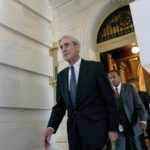 The letter said that Mueller did not find a criminal conspiracy between Russia and Trump associates around the time of the 2016 election and that Barr did not believe the evidence in the report was sufficient to prove the president had obstructed justice.